The AG24 Asset Tracking IoT Gateway is ideal for monitoring dry-van and refrigerated trailers, heavy equipment, and high-value mobile assets. 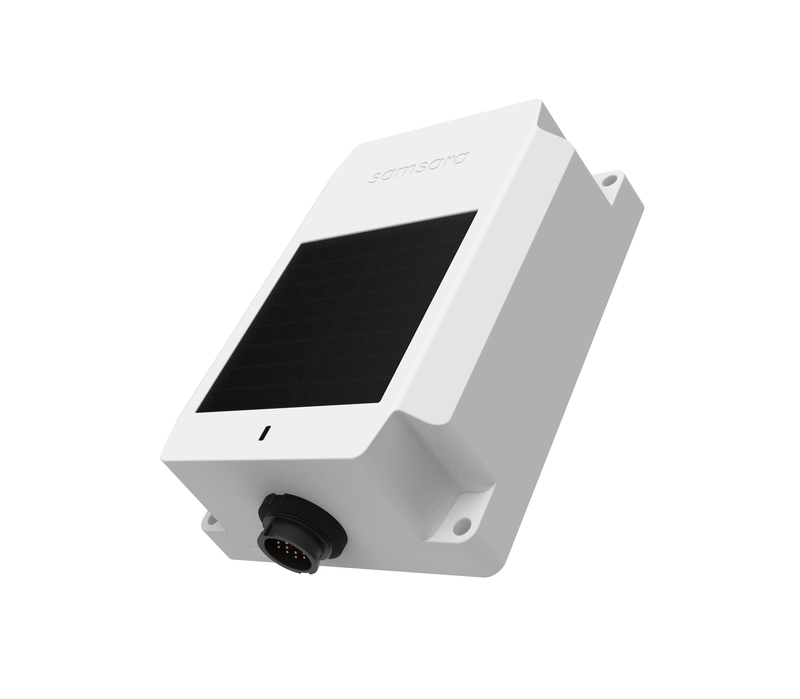 It features a waterproof and ruggedized enclosure, a variety of sensor and interface accessories, and multiple built-in power options. The AG24 enables improved operating efficiency, theft recovery, and regulatory compliance. It is part of Samsara's complete sensor system that combines asset tracking, fleet management, safety, and compliance solutions in a single platform. List price: $249 plus $180 annual license (all-inclusive license includes maintenance, support, cloud software, and cellular data, if applicable. Volume purchase and multi-year license term discounts available. )* Two-way control for refrigerated trailers available for an additional $249. Samsara provides location visibility for both powered and unpowered assets, enabling operators to instantly find trailers in the yard, streamline utilization, and improve customer service. By collecting and analyzing inventory and usage data, Samsara identifies underutilized trailers and assets that could be moved to higher-demand locations or routes with more revenue potential. Samsara provides easy-to-use geofences and alerts, enabling operators to instantly detect and respond to theft or unauthorized use. Samsara's real-time location tracking enables law enforcement to quickly recover stolen assets. On refrigerated trailers, the AG24 supports two-way control so that operators can pre-cool trailers remotely to maximize driver efficiency and correct improper refrigeration in transit. Additional wireless temperature monitors reduce temperature-related loss and damage claims. 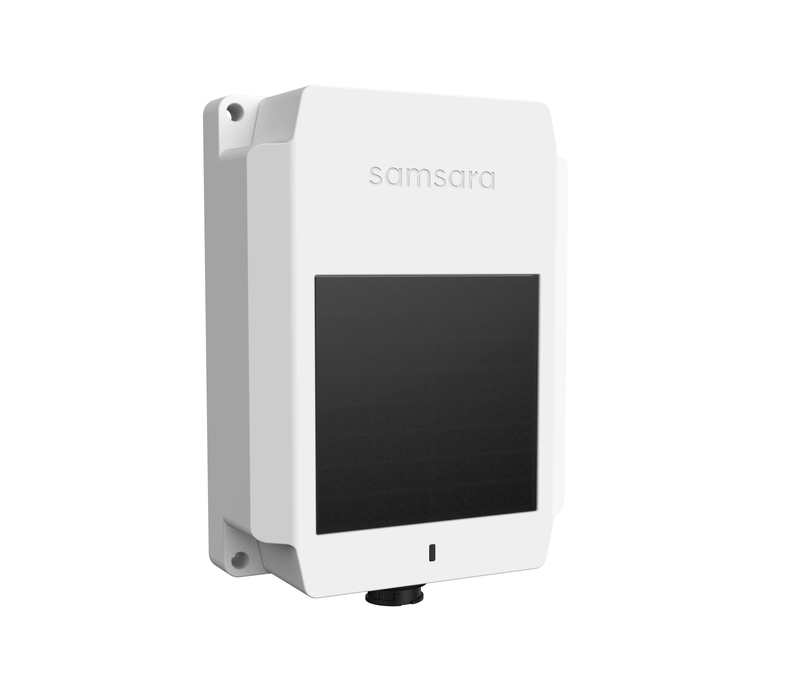 The AG24 is compatible with Samsara's easy-to-install wireless temperature, door and cargo monitors, providing sophisticated reporting and alerting software. Track temperature of trailers in the field, monitor when doors open in unauthorized areas, and get real-time alerts as soon as cargo is unloaded. When used in unpowered applications, the battery lasts up to 5 years with 2 check-ins per day. When charged by a power source or built-in solar panels, the AG24 maintains battery charge indefinitely. With a weatherproof and water-resistant design (IP67 rating), flexible power options, and fully wireless accessory sensors, the AG24 can be installed on most trailers and assets in just minutes. Internal battery enables up to 5 years of battery-powered operation. Battery charges automatically via seven-way. Requires AG license. 2-way reefer control and integration required one-time refrigerated truck activation license. License includes cellular data connectivity, cloud software, mobile apps, ongoing firmware updates, maintenance, and support. Available in 1, 3, and 5-year terms.